Wushu is the Chinese martial arts. 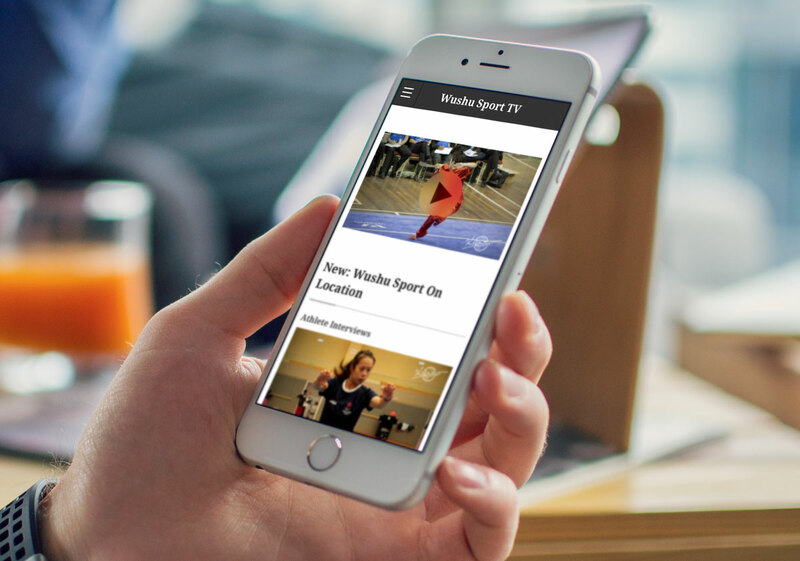 The aim of the team that runs Wushusport.tv is to cover all major championships and events. As the tagline says, wushusport.tv broadcasts Wushu to the world. Let’s hear from the team, on what they have to share about their experience. The team travels around the world to film documentaries and interview all the best athletes and coaches. They offer them the opportunity to become part of the Wushu Sports Team to anyone who loves Wushu, Kung Fu, Wing Chun and Shaolin. They built beautiful broadcasting Video Site using Templatic Video theme Template. We asked a few questions to the team to know how they got inspired to follow the idea of creating a website dedicated to Wushu and promote it online. wushusport.tv was created by Sifu Alan Winner and Salie Lewi. Both are teachers of Chinese martial arts (wushu) in London, UK. 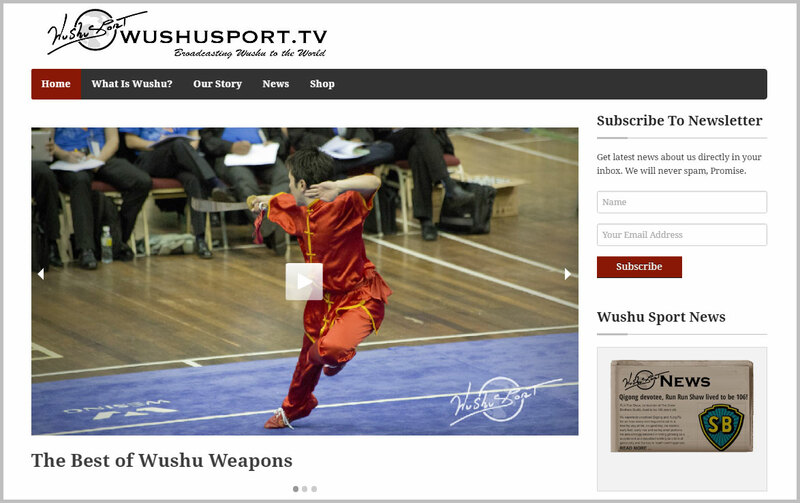 As specified earlier, wushusport.tv is a video based website set up to introduce the sport of wushu to a wider audience. They do it by posting documentaries of the sport on their video website. They cover major events by the championships coverage and interviews with athletes and coaches from around the world. The world needs to know Wushu! Wushu athletes around the world dedicate their time to rigorous practice, day in day out. Unfortunately, they are not being lauded enough for their achievements. There is no mainstream television channel that includes Wushu in their sports coverage. So the team took it upon themselves to change this situation. The team works very hard to collect the videos and interview the athletes. They mentioned that the theme was a help as they didn’t had to bother much with the uploading and managing the videos on the site. The home page is conveniently laid out. It has the option to display the content in a variety of ways. Moreover, it is easy to switch around the order of the videos. Collecting the video content has been the most challenging part. It required travelling to events and then editing hours of footage. With the Templatic Video theme it was an easy job to upload it and paste the code into the Video Site. There is currently no financial gain from the sport. Because,the only supporters are the athletes, coaches and family members. Unless an audience is built for this sport there will always be a lack of sponsors, ticket sales and sales of broadcast rights. The site is basically a free service. For now, it is a free video portal where visitors can view the videos uploaded by the team without registering or paying anything. The team is hopeful that maybe in future they will attract sponsors for their videos. Our audience has found it a great site to browse through the videos. When asked about the future strategy, the team mentioned that they will be using a membership plugin in the future to gain more free subscribers. They also want to monetize some of the content. It would be great to have a membership option included in the Theme so visitors can subscribe for free to view the content or the option to monetize some exclusive content. The third party plugins that are available are all very difficult to get them to work the way you want so if this were included in the theme it would be great. We asked the team several questions about the sport and their site. Lastly, we asked them for suggestions or a feature they would like to find included into the Video theme. To this they said that it would be great to have a membership option included in the Theme. They want to enable the visitors to subscribe for free to view the content. They also want to monetize some exclusive content. There are third party plugins that can be embeded into the theme for the desired functionality. But they are not as easy to use and it gets difficult to get them work the way you want. So, if this were included in the theme it would be great. This video site is a success because it fulfills it purpose and promotes the sports to the world. With this website, anyone interested in the sport can search and view the videos possted in the site. The talent of the athletes is brought to light. Thanks Sifu Alan Winner and Salie Lewi for taking the time to provide us this insight about your project. All the best for your future plans! !